As far as it useful to use a methodology for Design Thinking, I still feel design is an open-ended and unpredictable process. But I use the following as a framework when beginnning a project. 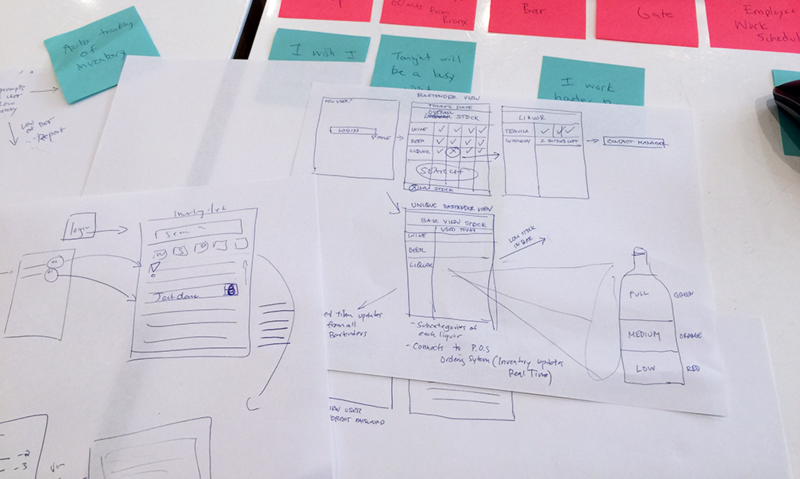 UX Process: Research, Document, Prototype, Test, Iterate, Design and Deliver. 5 year old bar/restaurant in Upper East Side, NYC for which the bar accounts for 40% of their revenue. The goal is to create an app (mobile first-iPad, desktop) for bartenders to make their life and job painless --- report daily liquor sales and manage inventory seamlessly at the end of their shift. Numerous times when beer kegs/wine/spirits are out of stock and there is no digital/paper trail. Missing bottles of wine/spirits are not accounted for. As UX designer role, I immediately focused on the human behind all of this, there is someone on the other side of the screen interacting with various people within their work space. In this case, it is the bartender, but it can also be the bar manager and waiter/servers. Journey Mapping - I interviewed one bartender, Stephanie, a 26 year old theater grad student from Inwood, NY. I asked about her entire work day, her goals, frustrations, motivations and thought process throughout her shift. From this, I am able to create a Persona for whom this app will be useful and get a deeper understanding of her needs. I replicated the same research for Joe, a 37 year old bar manager from the Bronx, NY. With valuable research insights, I am able to design and conceptualize a product that eases stress for the bartender and makes it simple to update inventory and manage daily sales. 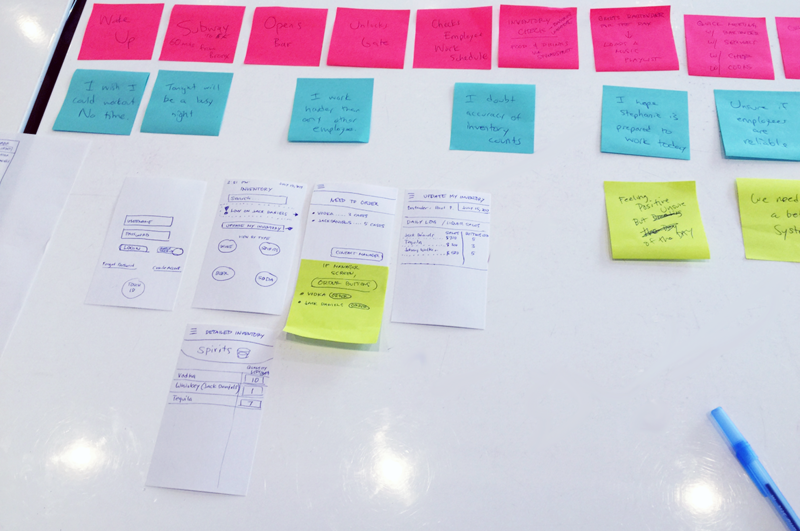 The next step is to document flow charts with various scenarios, review with client and start prototyping.